Light Pink Faceted Hand Mirror. Great for dresser or bathroom. 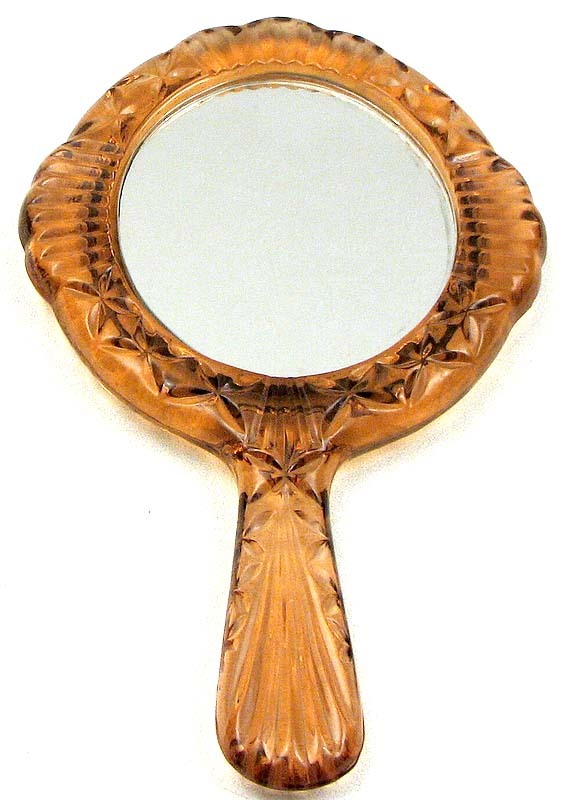 Replica of the antique glass hand mirror, measures 4.75"W x 8.5"H x .5"D.